Zero Waste, recycled, organic fashion, ethical aims... Our April Wishlist has been composed to challenge people's minds. 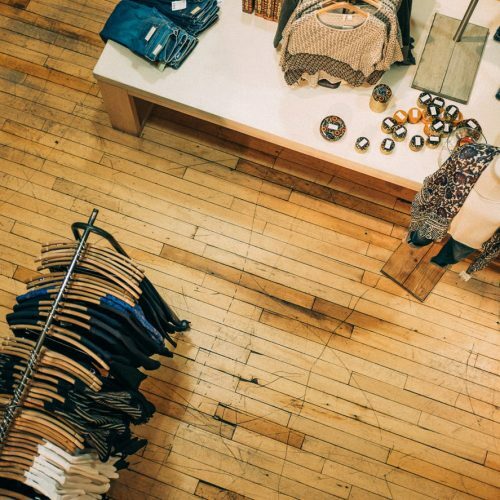 We select our favorite sustainable brands that help us to get back to individual wants and desires, as it is the only way we can push society forward. Welcome to our Spring Sustainable Wishlist. Why to buy: Su by Hand was founded to introduce timeless, handcrafted womenswear that are one-offs or limited editions only. 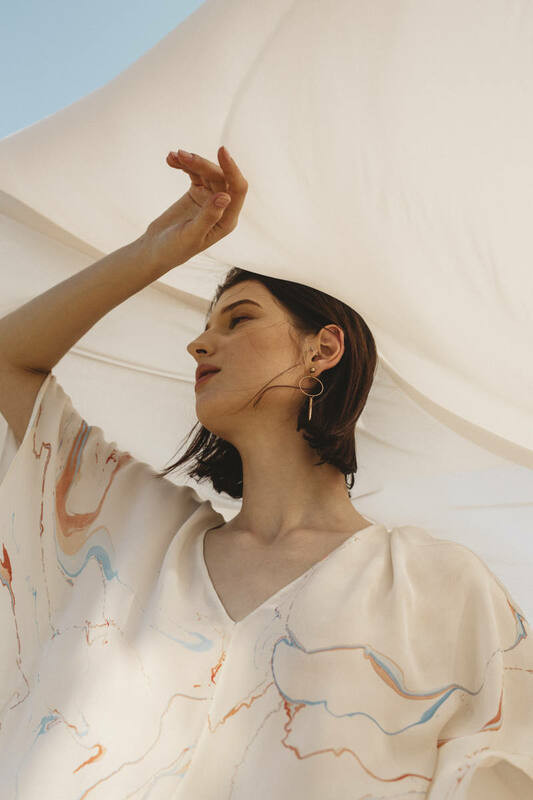 Using only premium dead-stock natural fabrics such as silk and silk-linen, every piece from the "Fragments make One Whole" collection is painstakingly marbled by hand or dyed in-house using natural Madder-root, Cutch and Sandalwood. The collection is produced by a small-batch Hong Kong-based social enterprise. Craft, quality and sustainability form the underlying principles of the brand. What we love: Every piece in the "Fragments" collection is unique as no two marbled print or naturally-dyed shade is the same. Designed in elegant, simple cuts with a touch of art, each piece can also be customized for color and length as they will be made exclusively for you. With an understated, timeless styling in a natural palette of nudes and peach, these slow-luxury pieces are designed with comfort in mind and made to last. The hand-marbled styles are also available in plain, naturally-dyed options. Why to buy: The Ribbon Parachute Anorak is intelligently crafted in the Raeburn Lab from ribbon parachute material. 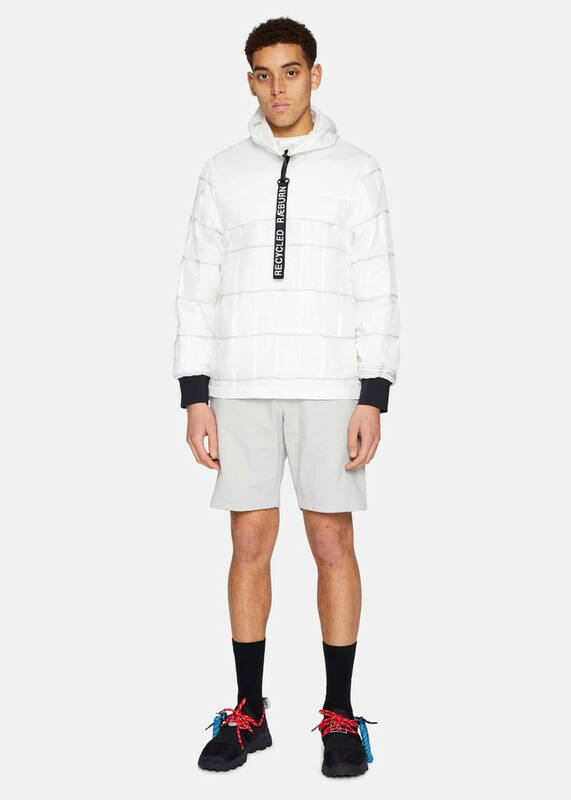 It features a concealed hood and cagoule silhouette. The contrast is 100% organic cotton. 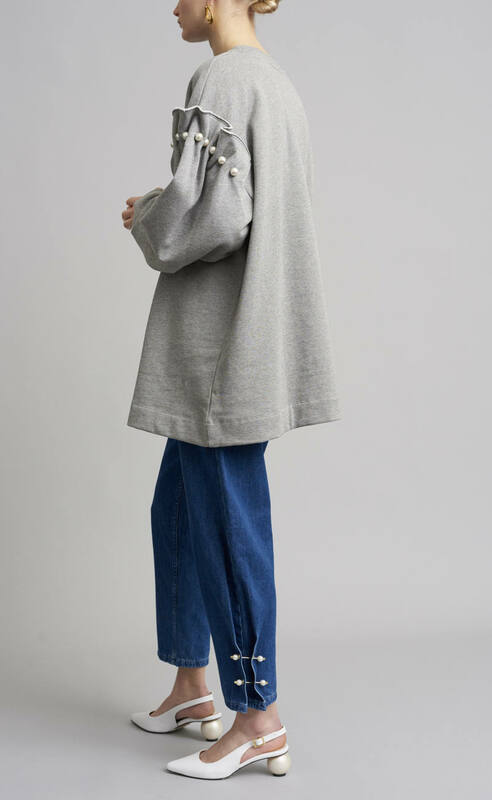 Part of RÆMADE in England collection, this coat is one of a maximum of 50 in existence. This product is Made To Order and crafted in-house. that make him an original and exceptional designer”. We love the sustainable and intelligent fashion design for a global audience made by Raeburn. The RÆMADE ethos in particular has pioneered the reworking of surplus fabrics and garments to create distinctive and functional pieces. Alongside this, a highly collaborative spirit informs luxurious, handcrafted and award-winning products with integrity and purpose. Why to buy: The Darby sweatshirt in black is created in 100% organic cotton. It has the signature Mother of Pearl ruffle sleeve studded with faux pearls and an oversized fit. The garment has been traced back to the raw materials and know it is environmentally and socially responsible from its very seed of birth. At Mother of Pearl, they have also always taken social responsibility seriously and they care deeply about the lives of the people involved in the production of their garments. They work very closely with their factories. The majority of them are in Europe. It is also important that all their cotton is bought under the GOTS certification ensuring every worker is paid a living wage. What we love: We love the vintage inspired separates and summer dressing, as they are a blend of thrift and exquisite. Playful flirty looks remain exquisitely crafted in lux and sustainable fabrications, timeless in style. Why to buy: We live in a world where most garments are mass produced and made to be worn a few times only. 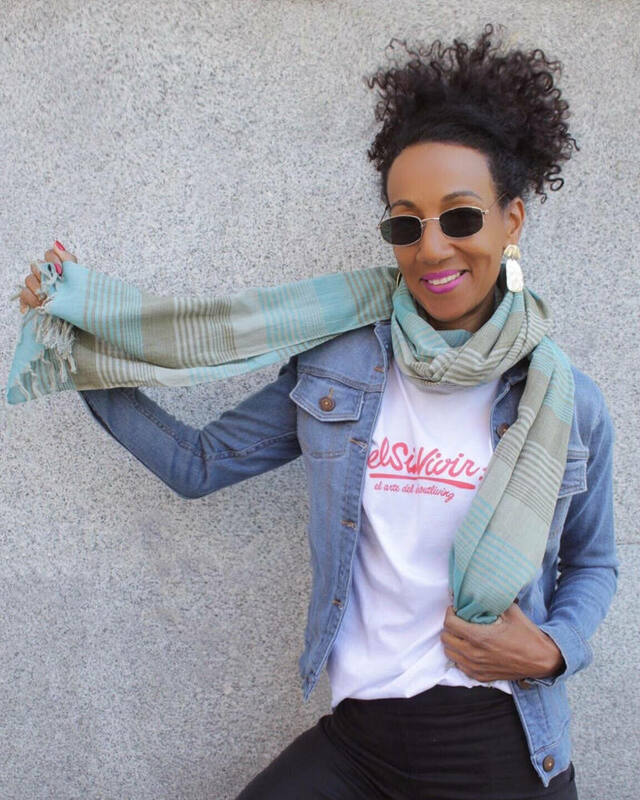 The purpose of Unless.me is to provide a sustainable alternative to that, with baby blankets that are personalized and made for each single child. Your blanket will be knitted especially for your little one, right after you order it. Unless.me only produces what is sold with no waste or overproduction. All products are certified to be free of toxins and allergens which is extra important for sensitive baby skin. Unless.me uses high quality and sustainable materials such as organic cotton, and produces ethically fair in Portugal. What we love: Unless.me combines both style and and a personal touch in their high-quality baby blankets. 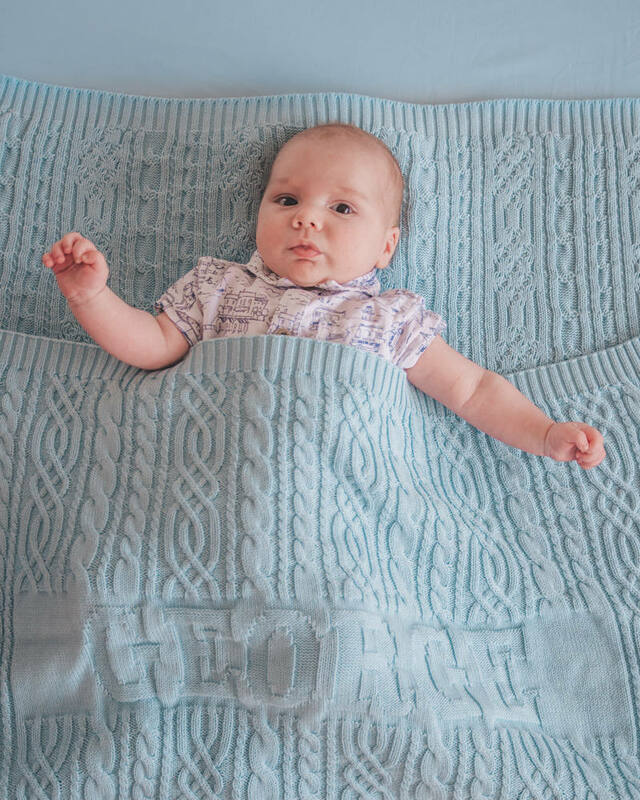 The name of your child will be subtly knitted into the structure of the blanket, and the soft organic cotton material is perfect to keep your baby warm and cozy. If you are looking for a unique and special gift for a baby, you have found it with this blanket. Why to buy: atisan collaborates with craftsman all over the world to bring assorted interior pieces to the most beautiful place on earth: our home. 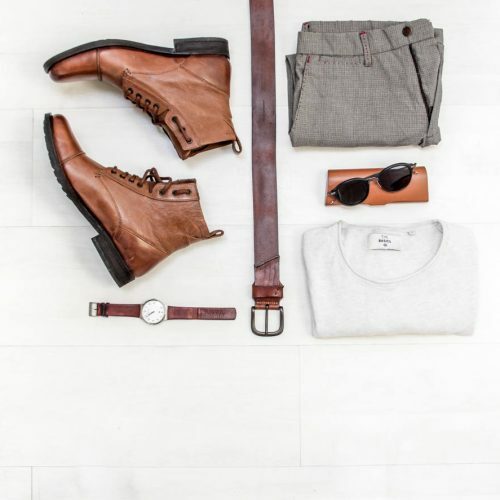 Each of these carefully handcrafted items is one of a kind and build to last. 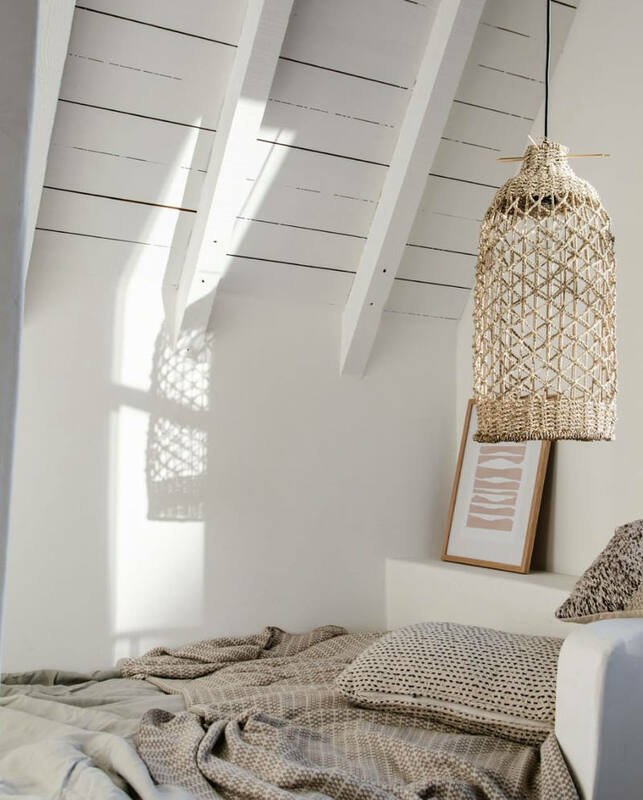 Such as the beautiful pendant lamps and baskets are all made from natural materials like seagrass or bamboo. These unique details add a modern and individual touch to our homes knowing that every single piece is ethically sourced. What we love: atisan knows all craftsman personally. Dorka and Daniel, founder of artisan, love to travel to the most remote places in the world just to find this one single piece which tells its own story. It’s like browsing open air-market while you are on a long distance journey. Why to buy: This fabulous denim jacket is perfect for spring evenings. Is has been designed with 100% recycled and ecological fabrics, respecting the environment and the quality of life on the Planet. 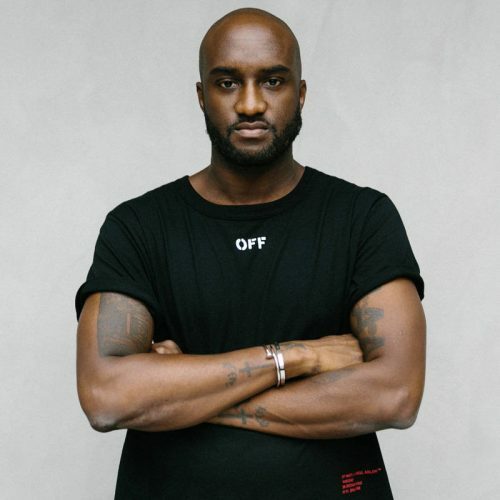 Santo Fruto is a brand dedicated to the manufacture denim garments, combining innovative techniques with traditional ones, to achieve a better future for our planet. The company look for a synergy between the conservation of the environment and social and economic growth. What we love: Made in Brazil with 100% ecological materials (98% organic cotton + 2% elastane), this denim jacket has sustainable details all around: the laser-engraved vegetable leather label, the laser engraved coconut buttons... Santo Fruto is one of the pioneers in the range of sustainable fashion brands, where first garments were made from the recycling of remnants, applying the patchwork technique creating unique and exclusive pieces. Currently, they use new 100% recycled materials, obtained from the combination of recycled cotton and recycled plastic bottles, organic cotton, vegetable leather and coconut shell. 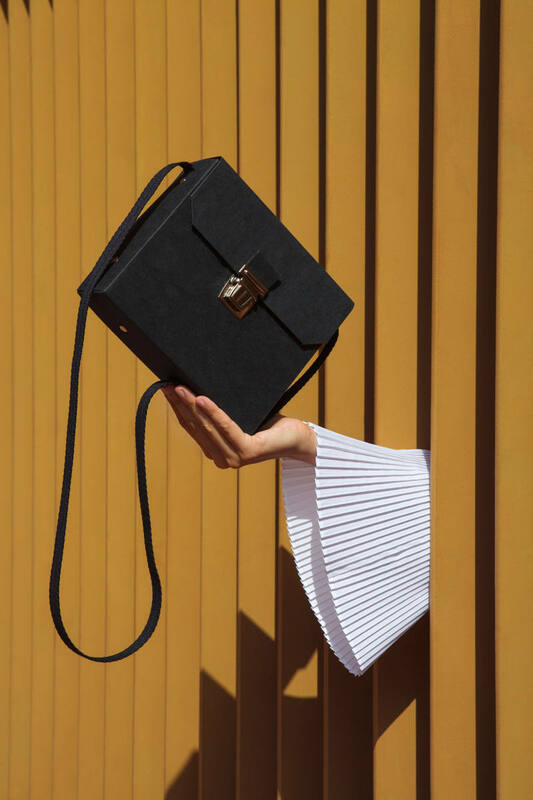 Why to buy: This bag is made out of a cruelty-free and environmental-friendly material, a sort of washable paper: tear-resistant, abrasion-resistant and ultra light. It has a perfect size and style for an everyday outfit or to complete a "go out for dinner" style. Its structured and minimalist shape will help you to keep organized your items inside. What we love: Pendular Pocket is a small fashion brand born in Barcelona, now based in Berlin. It has always been pro independent design, fair trade and small and local production. With its latest project, the Paper Collection, also actively supports environmental sustainability. On the creative level, Pendular Pocket is passionated for design and art in all its forms and puts total care in small details. Additionally to design handbags and purses, the company creates its own prints. All pieces are handcrafted in Pendular Pocket's Studio. Why to buy: Alex Carro embraces and explores the natural health benefits of botanicals and their impact in skincare and aromatherapy. She selects the most effective, luxurious, natural ingredients and combine them in innovative, intelligent formulations for maximum impact on skin with no waste, and no fuss. Healthier, smoother, better-looking skin has never been simpler. A five-piece skin essentials collection using distinctive, carefully selected natural botanicals gives you everything you need for sensuous, sustainable, next-level skincare. 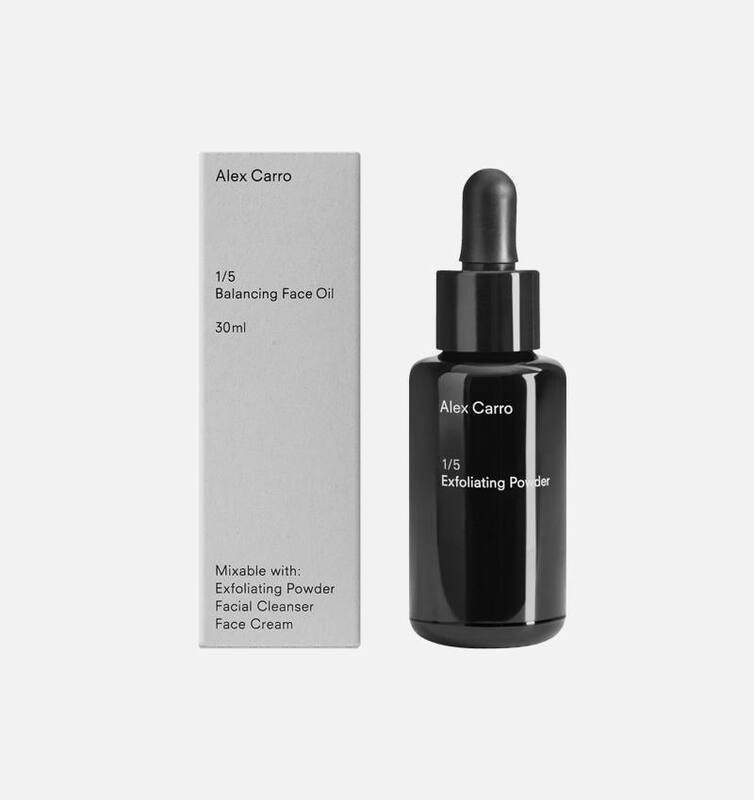 What we love: Alex Carro invites you to create your own rituals and respond to your skin’s unique needs with a mixable, cutting-edge formulations designed to work for you, for sustainable skincare that really works. Each product can be used alone or mixed with others for additional benefits. We have try and it really works!